Property Renovation ? schedule your FREE Estimate today. No matter the size of your Property Renovation / Property Refurbishment our all trades team are dedicated to truly meet the needs of our clients. We guarantee you will be satisfied with our affordable prices and our attention to detail. Our experienced team of tradesmen are perfectly equipped to deal any property refurbishment project across Edinburgh and Central Scotland. A simple consultation is all that is required to start with as this is where we can discuss your project in detail and put together an outline of timescales, costings and everything in-between! We will remain close contact with you throughout your renovation, updating you on the progress, answering any questions, and providing you appropriate advice if necessary. Choice of finishes, fittings, colours etc will of course be your decision – however, we are happy to assist you in selecting and sourcing these things should you wish. 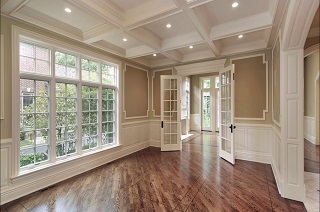 Joiners In Edinburgh has a wealth of experience in property renovations while working with private home owners whether its a small or large job, our time-served tradesmen pay great attention to detail. 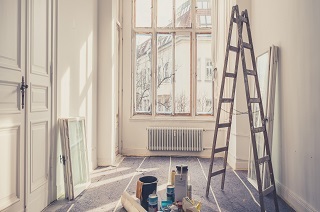 One of our great strengths is our ability to cause minimal disruption while working in occupied properties and complete a property renovation within budget, on time and to the highest standards. 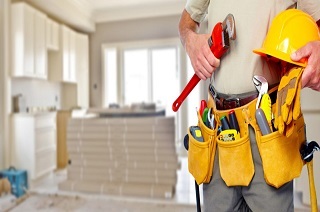 Our trusted and experienced Tradesmen have carried out thousands of property Renovations over a period of 30 years and have the experience and the expertise to deal with any size property renovation. We offer a service that is professional, prompt, friendly and reliable and all our tradesmen are courteous, treating your property with the utmost respect. Our pricing is fair, fully costed and extremely competitive. To discuss your Property Renovation needs, contact us using the button below.